The Section of Hepatobiliary Diseases, or ‘Liver Unit’, of the Division of Gastroenterology, Hepatology, and Nutrition, was established by Dr. Gary L. Davis in 1991. The University of Florida performed the first liver transplant in the State of Florida in 1989 and currently performs between 40 and 60 transplants per year. 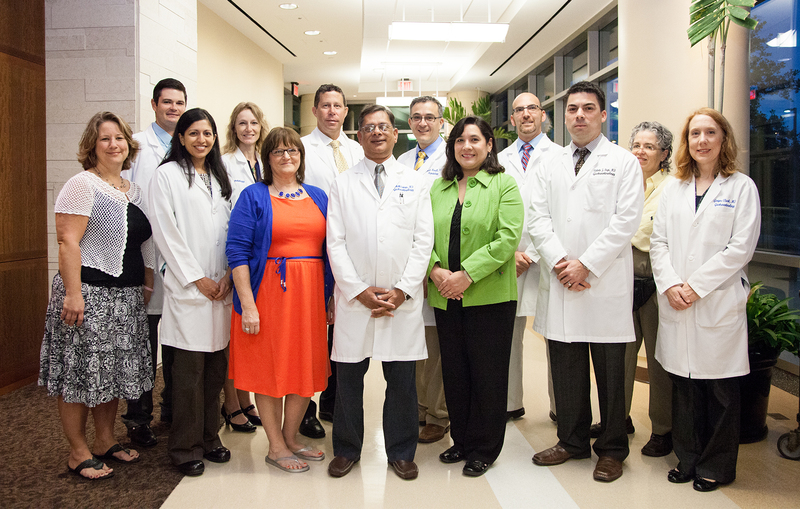 The Liver Unit currently consists of 8 full-time hepatologists who provide inpatient and consultative liver-related services that include clinical support for the liver transplant program. The Liver Unit has been extremely successful in viral hepatitis research and is a major tertiary referral center for the southeastern United States. The eight faculty of the Liver Unit also have strong clinical and basic research interests. The Liver Unit is internationally recognized for research on the immunopathogenesis and treatment of HCV. A particular strength of the Section has been its ability to spin off basic research projects from clinical trials. The Liver Research Unit has an impressive record of academic achievement in its short tenure with more than $8 million in research funding and nearly 300 publications. Recently, the Section of Hepatobiliary Diseases and Department of Pathology have obtained a multi-specialty training grant from the NIH, which confirms the commitment of these divisions to establishing a comprehensive, enriched, multi-disciplinary academic training environment.